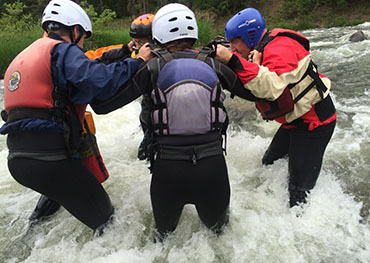 This water rescue course is specifically written and designed for private boaters, kayakers and boating groups! Basic river skills are a prerequisite. Emphasis is on identifying hazards, preventing rescue, and actual rescue techniques for yourself and your group. We encourage a critical approach to rescue senarios with the intent of keeping rescuers safe and providing help quickly and effeciently. This is the class you want as a boater to stay safe and know what to do if something goes wrong. 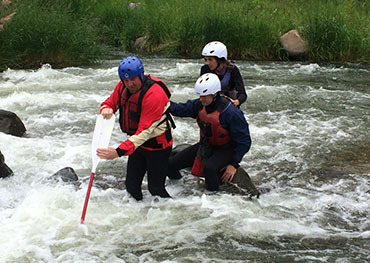 Although this course meets agency Swiftwater Rescue certification requirements for river guides and kayakers; its pace allows for thorough integration of knowledge and practice of the skills that matter. The two day format makes the course more affordable and accessible. 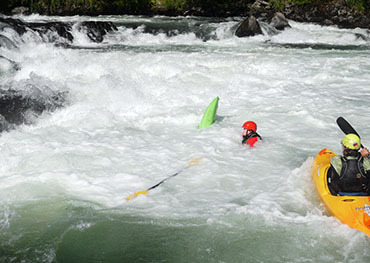 This course should be a prerequisite to anyone boating on any river anywhere! 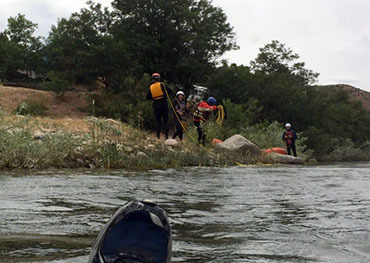 The course addresses the river rescue needs of rafters, cat boaters, kayakers, pack rafters, canoeists, riverboarders and SUP paddlers. IN THIS HANDS ON CLASS YOU CAN EXPECT TO SPEND A LOT OF TIME IN THE WATER IMPROVING YOUR SKILLS AND WORKING WITH A GROUP.